Exciting indoor and outdoor activities for children of all ages! Next Generation Academy provides fun, engaging, and educationally minded activities for all children enrolled in our programs. Next Generation Academy provides a number of fun outdoor activities to keep children moving and thinking. It’s our belief that a healthy body equals a healthy mind. 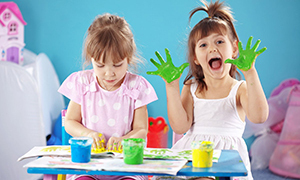 These activities will teach your child teambuilding and social skills as well. When you choose Next Generation Academy you’ll know your child is engaged, rain or shine!